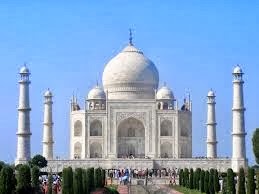 Taj mahal as we hear the name of it, we think about its beauty which has to be explored, the pure white stones which has been carved very decoratively and the paintings in it attracts attention from people and make them forget their presence. It has been estimated that around 22,000 labors has been employed in building this. A few says that shah-jahan has planned to built another Taj Mahal with black marble, on other side of river bank, but due to the war with his sons he could not implement it. Taj Mahal took 17 years to complete the construction. It is been believed that, emperors beard and hair grown snow white in few months after his death. The four sides of Taj Mahal are perfectly identical, that is all the sides are perfect as mirror image of each other. 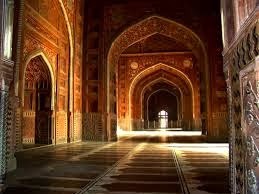 Taj Mahal is surrounded with mosques and guest houses and total 17 hectares of land with all complex walls. Many precious stones are been robbed during British periods. Other important fact to be noted and proved is, Taj-Mahal is been built upon temple, and it has been proved that Taj Mahal which has been built now is the newest form of old building which is lying underneath it and it has been proved by carbon dating method too. Though the crisis was proved with required evidence, India is a secular country with many religions and castes in it so it not made to a issue and it has been suppressed too.